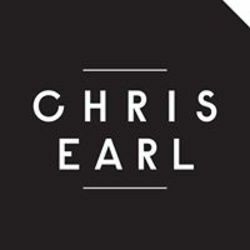 Chris Earl is a furniture and ceramic designer, and sometimes chef, who is dedicated to bringing a sense of timeless beauty, grace and lasting heritage to everything he puts his mind to, designing by intuition and an unmeasured approach. This natural sense has informed a unique design for his collection of furniture, housewares, and other items that foster gatherings, eschewing the reclaimed and overly rustic in favor of clean and natural utilitarianism. Chris’ build process echoes his diverse lineage and personal story–the rough, wild and unplanned tribal nature of the South Pacific where he was raised, coupled with the calm and thoughtful aesthetic of his Danish ancestry. Together, these principles have guided his creativity. Earl grew up in Papua New Guinea–a land where the beauty, grandeur, and tests of nature are always prevalent. A place inspired by environment and the materials found therein. It is a place where creating objects is about fulfilling a purpose, creating story, and building community. Since returning to the United States, he cut his culinary chops working as a chef in the restaurant kitchens of Chicago, as a personal chef for Los Angeles’ elite, and as the on-trek chef for Wilderness Collective. He runs his business in Los Angeles, where he happily resides with his beautiful wife Amber and their new baby girl Giavanni Laurent. As a family they love being able to work together, hosting events and dinner parties as they continue to grow into their community. For the last ten years, Earl has designed and manufactured commission pieces in southern California. His recent Framework collection, which mixes maple and walnut with glass and pops of machineable brass, includes a selection of specialty tables, chairs, bed frames and a new children’s assortment. Most recently, his Sable collection has incorporated ebonized and bleached oaks with copper as an accent material. Chris’ classic, yet forward thinking sensibilities are still featured in his growing collections. His tabletop range that began with cheeseboards and service wares has expanded to indigo splattered, hand-thrown ceramics. The ceramic collection is quickly developing as it expands. Each piece is handmade in Los Angeles.